Should you buy an Echo Spot? I’ll just come out and say it: Amazon’s newest Echo hits the sweet spot. 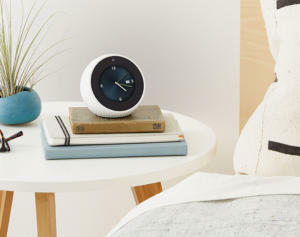 The Echo Spot fills a hole in Amazon's Alexa lineup that I didn’t even know was there. With no less than six smart speakers, plus a variety of tablets and apps, I thought Amazon had its bases more than covered. There are Alexa options to handle every room, budget, and situation in need of a smart speaker. And if you can't find something in Amazon's stable, you can choose from a bevy of third-party Alexa-compatible devices. But while the Spot isn't the first Echo device with a screen, it is the first seemingly designed to complement whatever room you put it in. It might not stand out like the Show, but it doesn't fade into the background either. Simply put, the Spot has something the other Alexa-powered devices in my house don’t: good looks. It’s the first Echo that I didn’t actively try to hide. In fact, I tried a few different locations in my kitchen before I was happy with its visibility, and I’m already scouting places in my bedroom and home office for future Spots. The Spot is more than another Echo with a screen. 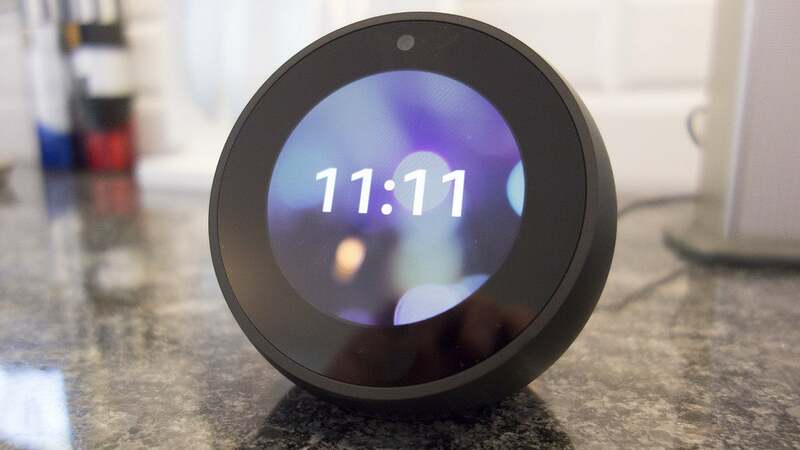 It’s a new experience and a new direction for the platform, it just might be the device that puts Alexa out of reach of Siri and Google Assistant. 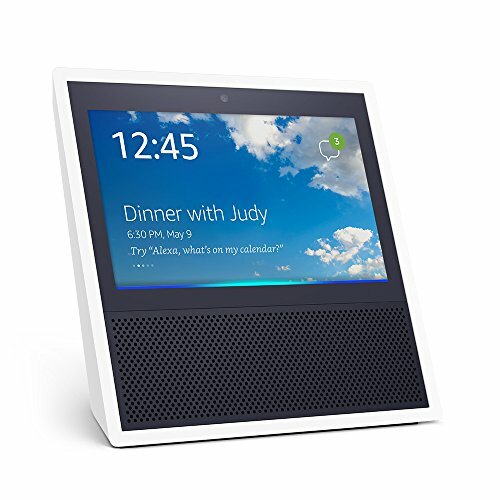 The Spot is essentially a smaller, cheaper version of the 7-inch Show, Amazon’s most expensive Echo device. But unlike the Dot, which is merely a shorter Echo, the Spot is a full reimagining of the Show—smaller yes, but also much more stylish with a more balanced design and classic good looks. The Spot is small enough to fit just about anywhere. 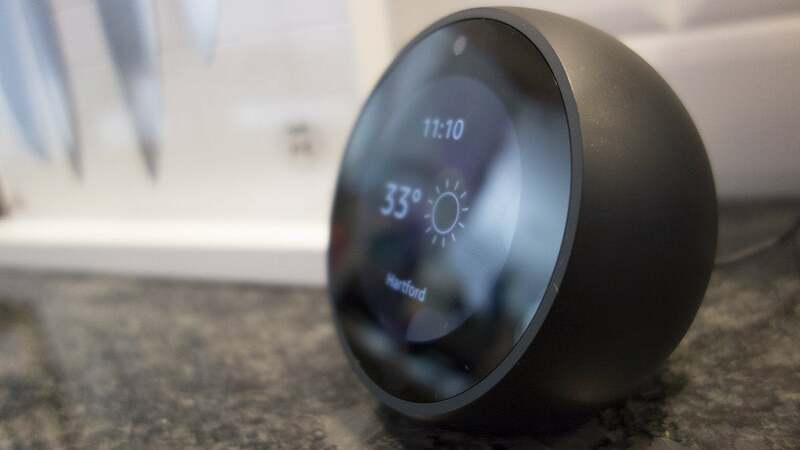 At four inches in diameter, with a 2.5-inch circular screen, the Echo Spot shares a similar aesthetic with a Nest Thermostat, right down to its huge chunk of black bezel all around. A circle of speaker holes pepper the bottom edge, and it naturally rests at a 70-ish degree angle that makes it easy to see from anywhere in a room. Its visibility is buoyed by its adaptable brightness and excellent viewing angles, as well as the trademark blue "listening" ring that circles the screen. In fact, the Spot isn’t at all that recognizable as an Alexa device at first glance. If it’s on a nightstand or a desk, it’ll look like an alarm clock. If it’s in a kitchen (where mine is), it’ll look like a fancy egg timer. Where other Echo's look like they were designed from the inside out, the Spot feels like the first Echo that’s truly meant to be seen, with simple curves that help it adapt to whatever environment it’s in. Real-life cable management differs quite a bit from Amazon's promotional images, seen below. However, because you’re going to want to put your Spot in a prominent location on a counter or a nightstand, you’ll need to contend with its power cord. To look at the Spot’s promotional images, you’d think it runs on a battery. But it depends on a large AC adapter with an attached cable. I suspect that this time next year we’ll get a Tap-like Spot that includes a charging cradle for extra versatility, or perhaps a third-party manufacturer will develop an accessory. But for now, you might need to get creative to hide that cord. As an Alexa device, the Spot works just as expected. 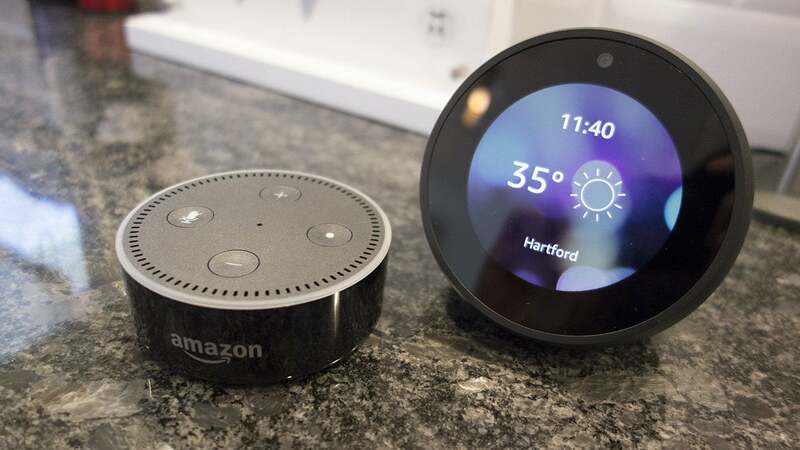 Fire it up and any skills and smart home connectivity you’ve added to other Echo devices will be at the ready, as well as music, audiobooks, and of course, Alexa's bountiful brain. But the screen adds a few tricks that make it feel like an entirely new device. 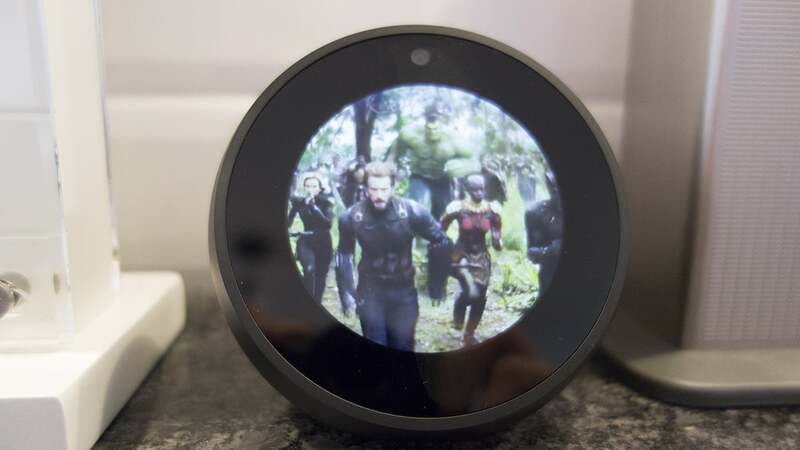 Videos are cool on the Echo Spot, but you'll lose quite a bit of the picture when it resizes. Ask it to play a trailer and it will oblige. Or ask how to make spaghetti carbonara or grilled cheese, and you’ll get step-by-step instructions. If you store your digital photos in the Amazon's Prime Photos, you can run slideshows on the display. You can also view a live stream from your Ring video doorbell or Nest camera if you’ve enabled those skills. Videos either play in their original format, or they can be zoomed and centered to fill the screen. Both formats have significant drawbacks—one’s too small and the other’s rather truncated—but it’s still a neat way to quickly pull up video clips without reaching for your phone. The Spot can’t show YouTube content, but now that Amazon has decided to sell Chromecasts again (or will be soon), perhaps that will change. You can make voice calls to other Echo's and to contacts who have the Alexa app installed on their smartphones, but if you know someone who has a Spot or a Show, you can make FaceTime-style calls too. Calls connect quickly with clear audio and lag-free streaming, and there’s very little effort involved. Just say, “Call dad,” and it’ll start dialing. Amazon hasn’t supplied the specs, but while the camera isn’t as high quality as a premium smartphone, it’s certainly good enough for casual conversations. You can disable the camera by pressing the middle button on the top of the Spot. 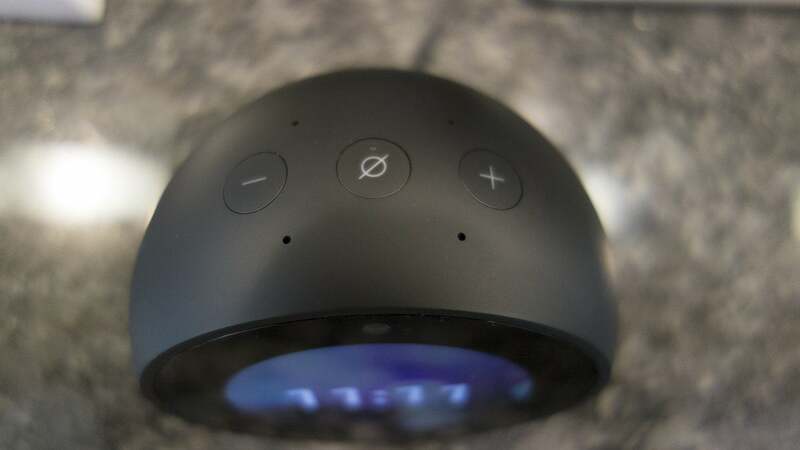 Additionally, the Spot includes the somewhat controversial Drop In feature that lets you instantly connect with other Echo's (using audio or video), but you can easily limit it to your household or turn it off. In fact, you can disable the camera completely if you’d like (via a toggle in settings or a physical button on the device itself), which should allay fears about having an always-connected camera in your bedroom. Even if you never use the Spot to view a feed or make a call, its screen will still be at the center of attention. When not in use, you can choose one of the 16 analog and digital clock faces, and the display can also cycle through a series of customizable screens showing events, alarms, notifications, weather, and trending news. It’s similar to the Show in this regard, but the Spot’s diminutive size makes it much more likely to be placed in a position where you’ll regularly see and use it. 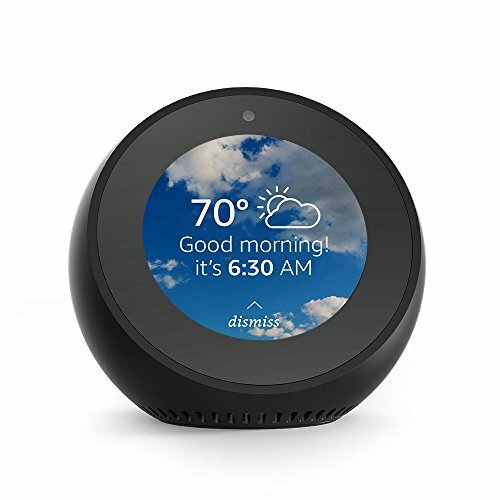 The blue ring around the Spot's screen means Alexa is listening. The Spot’s interface is relatively intuitive, but I had some issues with navigation, as the combination of voice and touch was tricky. I instinctively tapped and swiped the Spot’s screen more than I probably needed to, quickly learning that voice commands such as “Alexa, go home” or “Alexa, open Settings” were better options. But you can’t do everything by asking. For example, when I asked Alexa to change the clock face and theme, it didn’t understand either command. 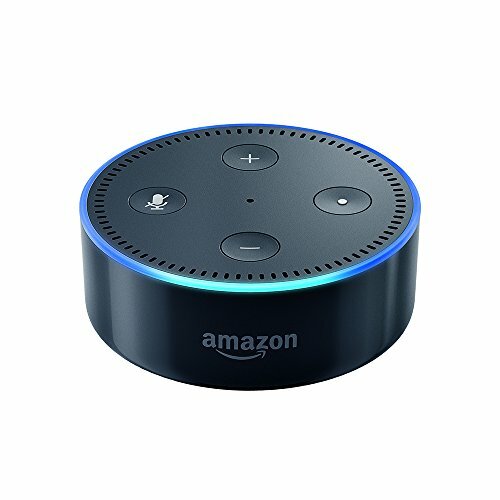 As a speaker, I found the Echo Spot to be surprisingly capable, whether playing music or simply listening to Alexa’s responses. It’s no Google Home Max in terms of its audio chops, but it’s not bad. It’s measurably better than a second-generation Echo Dot and most people won’t need to bother with attaching a Bluetooth speaker. 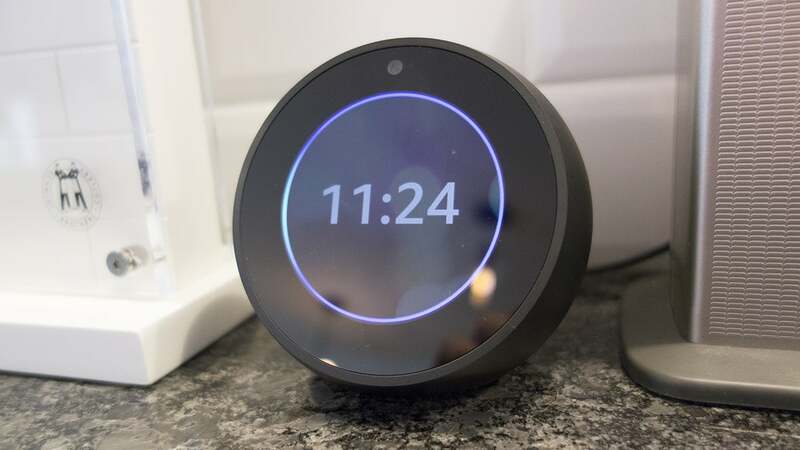 The Echo Spot is easily my favorite smart speaker, and I have plenty of them in my house: two Dots, two Google Homes, and a full-sized Echo. I was too put off by the Show's size to take the plunge, but the Spot's good looks, versatility, and overall capabilities make it equally good as an entry-level smart speaker or an addition to an existing home set-up. Spot, meet Dot. Dot, meet Spot. At $129, it’s one of the more expensive Echo devices (the Show is $230, the invitation-only Look costs $200, and the wholly unnecessary Plus costs $150 with a free Philips Hue bulb), but it’s still a pretty solid value for what you’re getting. It’s a killer alarm clock, a great kitchen timer, and just an all-around cool addition to an office. The camera might be off-putting for some, but the ability to disable it should prevent it from being a deal-breaker. Besides, if you’re buying an Echo, security and privacy probably aren't too high on your list anyway. 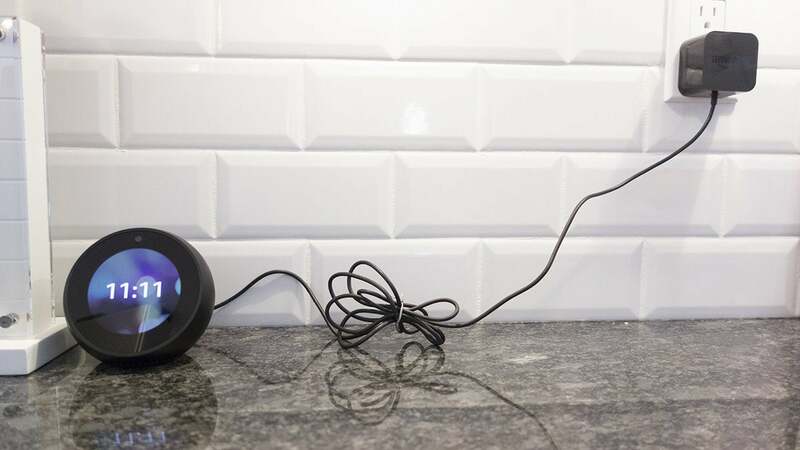 Google and Apple are both betting that the evolution of the smart speaker is in higher-fidelity sound, an area that Amazon has conspicuously ignored, leaving that slice of the market to Alexa licensee Sonos. Time will tell which strategy is right, but next to a $399 Google Home Max or $349 Apple HomePod, the Echo Spot is a no-brainer for anyone but the most discerning of audiophiles. And once it gets its inevitable price cut to $100 sometime next year, it’ll be even harder for Amazon to keep it in stock. And by the time Google and Apple come out with a competitor, it might be too late.